Tsung Hsing Food Machinery Co., Ltd established in 1965, obtained the ISO9002 international quality certification of The TUV Rheinland Group in 1998, required the European CE safety certification in 2011 and won the 25th Taiwan Excellence Award in 2017. We have more than 50-year experiences in food machinery manufacturing and we are a professional food processing machinery factory. We successfully require affirmed from more than 60 countries customers such as Southeast Asia, Central Asia, the Middle East, Africa, Egypt, Canada and the United States. We have experience in the whole plant equipment such like potato chips, grain puff, inflate, nuts, noodle snack, corn curl, green beans and fish shred. We also have the exclusive technology that the frying machine patented in many countries such as India, Thailand, Germany, America, Malaysia…etc. 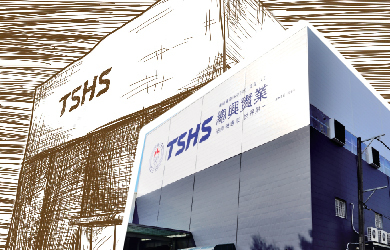 Recently, with concept of Trust, Specialty, High-Quality and Safety, Tsung Hsing creates a brand, called TSHS. Tsung Hsing consist of provide highest quality products and services to our customers. Tsung Hsing is your best choice. 1. Door for material entrance's cleaning attached.